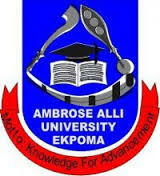 Ambrose Alli University (AAU) Ekpoma Transcript and Verification of Academic Documents/ Credentials New Rates and Fees for Both Local and International Students of the Institution. Authorities of the Ambrose Alli University (AAU), Ekpoma, has released the new fees/rates for the processing of Transcript and Verification of Academic Credentials and Documents. RECOMMENDED: AAU Ekpoma Transcript Collection Procedures and Requirements.